petition: SAVE GLENVIEW SCHOOL--RENOVATE for safety and modern learning conditions! 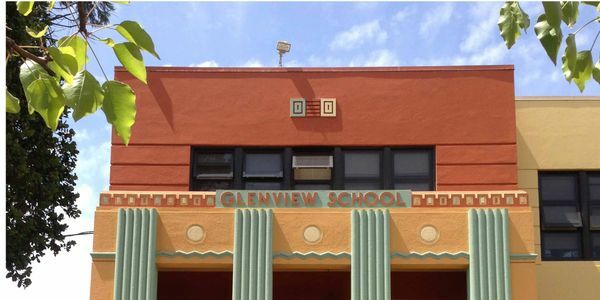 SAVE GLENVIEW SCHOOL--RENOVATE for safety and modern learning conditions! Achieve maximum safety with seismic retrofit as other Oakland buildings, e.g. Piedmont Avenue School, Oakland Technical HS, Paramount Theatre, Fox Theatre, Rotunda Building. Save over $5,000,000 of taxpayer Measure J funds, as per OUSD Glenview Master Plan, by renovation, not demolition! Preserve the historic exterior of the main building while renovating the interior to upgrade classrooms, lunch areas, special needs areas, etc. Preserve and renovate--rather than tear to the ground--the main building which may lessen the release of toxic materials into the neighborhood and reduce construction time. Upgrade environmental systems and infrastructure, i.e., plumbing, HVAC, technology, wireless access, etc. Save an historic and iconic building that represents the architectural legacy of our city and fits in with the vintage homes with which it is surrounded and shares property lines; maintain current buffer zone between school and adjoining streets. Relocate students closer to home during construction--not 5 miles away at Sante Fe School in North Oakland. Parents need to know location now so they can plan ahead. Expand community participation in the planning and decision-making process. Reject tearing down Glenview School. Support renovation, not destruction, of this school! It can never be brought back!